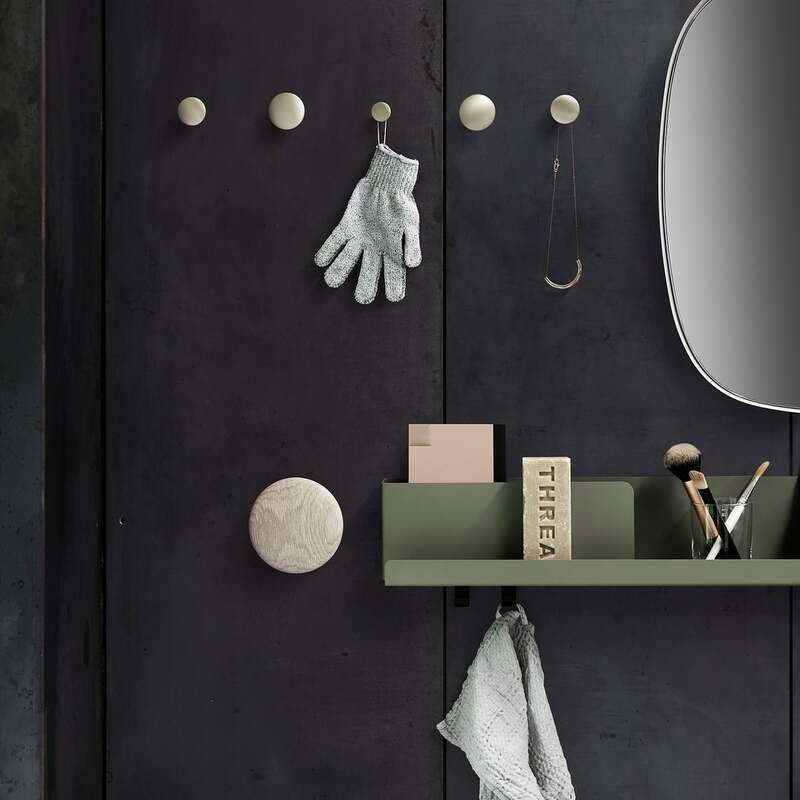 The wall hooks by Muuto are part of the “The Dots” Collection of the Norwegian Design duo Tveit & Tornøe, which is being continued by Lars Tornøe. The family of different-sized wall hooks is an enrichment for each corridor, kitchen, or bedroom wall. In contrast to the original Dots made of wood, the Dots made of Metal are manufactured from aluminium, brass or stainless steel in black. The shape of the Dots reminds us of a door knob or a drawer handle, which is owed to the given shape. 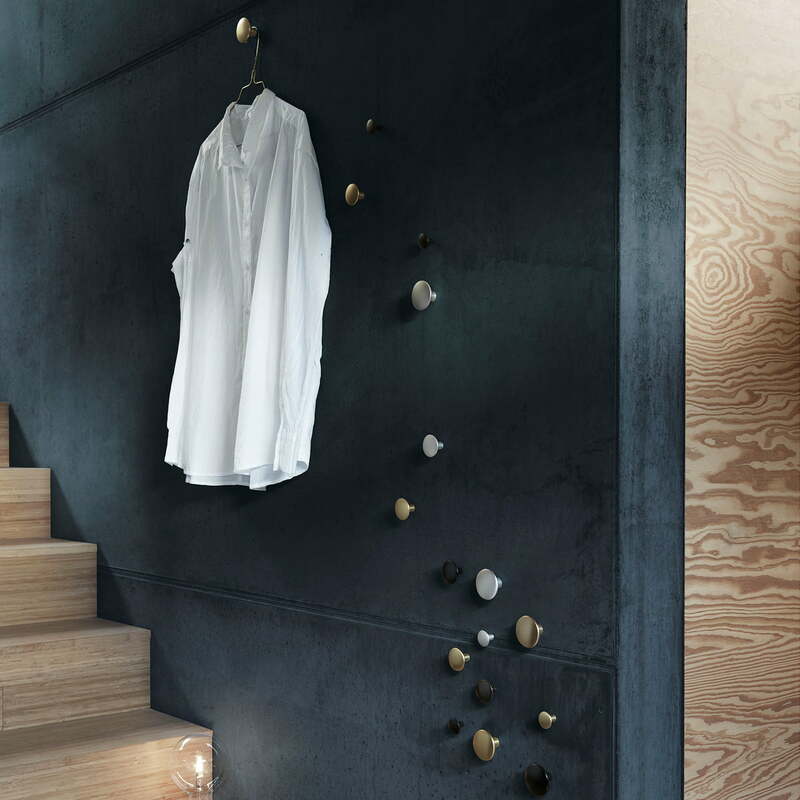 The soft rounded wooden objects are directly placed on the wall with their round neck and the wide head prevents the clothes from falling down. This is how the Dots guarantee safe and stylish hold of the clothes, bags and accessories at all times, no matter which size they have. Individual product image of the "The Dots Metal" wall hook Single Small by Muuto. 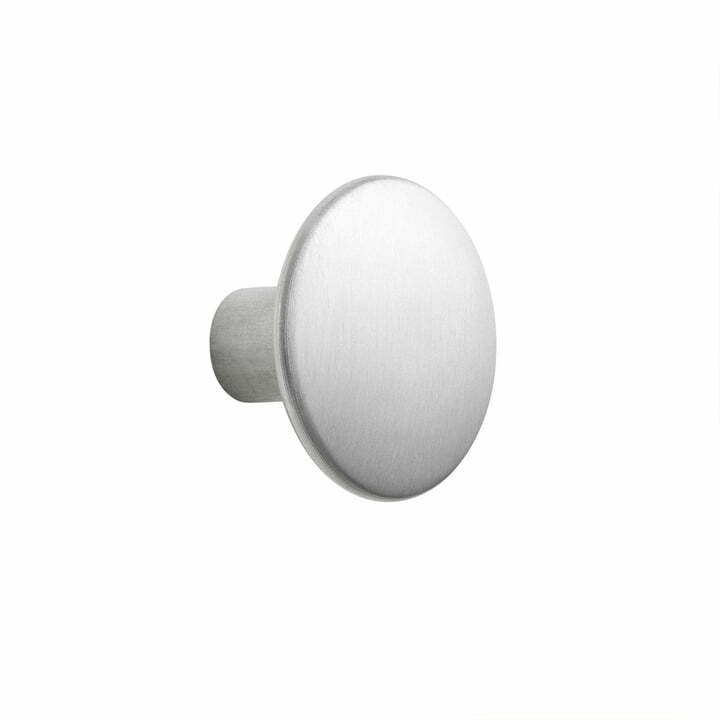 The soft, rounded wall hook by the manufacturer Muuto is made of aluminium. 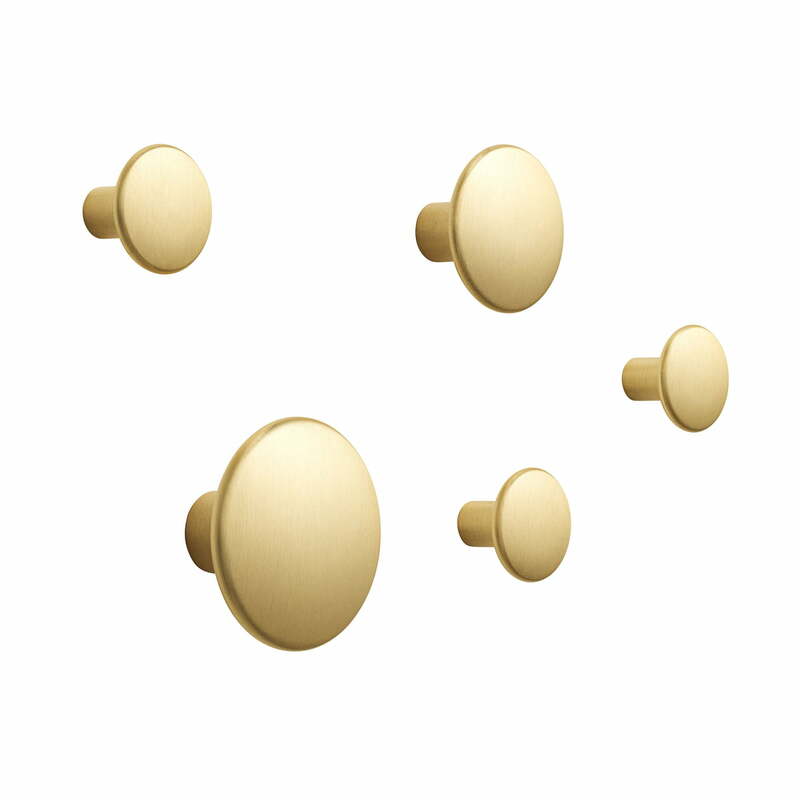 Product image of the Set of 5 Wall Hooks "The Dots Metal" by the manufacturer Muuto in brass. The set consists of two small, two medium-sized and one large wall hook.